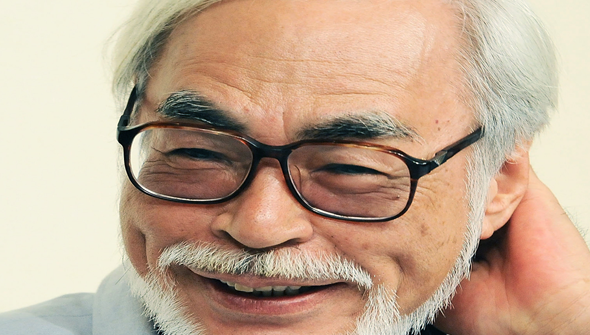 Last year, a documentary aired on Japanese television revealed that the legendary Hayao Miyazaki had apparently decided to return to feature directing. The project had not been officially confirmed, but it seemed like the world's greasiest living animation director had been tempted to retract his retirement once again. This week Studio Ghibli producer Toshio Suzuki has been in the US, where he was speaking at an event at The Academy. At this event, Suzuki reportedly confirmed that Miyazaki was indeed hard at work on a new feature, and that he would be producing it. Work on the project apparently began back in July 2016, and Miyazaki had produced storyboards by the end of the year. As for any other details on the project... we'll just have to wait. As per last year's report, it was projected the new feature could be completed in 2019. Miyazaki is currently also working on the CG short Boro The Caterpillar for screening at the Studio Ghibli Museum in Tokyo. A number of outlets had previously reported that the film would be based on this short, but as we stated at the time, we believe this to be incorrect. As far as we know, this is expected to be an entirely new, hand-drawn feature- and we can't wait to find out more!